Leeds United win 5-4 on penalties. Queens Park Rangers win 4-2 on penalties. 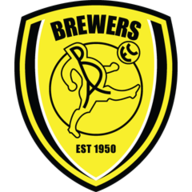 Burton needed extra time before finally overcoming Bury 3-2 to set up a second round tie with Liverpool in the EFL Cup. Calum Butcher and Stuart Beavon scored in the additional half an hour to finally break the resistance of League One Bury, who equalised through Tom Pope after Callum Reilly had put the hosts ahead as it finished 1-1 after 90 minutes at the Pirelli Stadium. Niall Maher's first professional goal in the 120th minute made it a nervy finale but Burton progressed. Not often will Burton, who on Saturday embarked on their first ever Championship campaign, have began a cup tie as favourites but they did against a side they left behind in the third tier last season. However, with eight changes to the team that started the 4-3 defeat at Nottingham Forest, it took the Brewers time to get going and Bury held their own throughout the match. Butcher's indecision midway through the first half saw a good chance go begging and Reilly fired over the crossbar. Shortly afterwards Marcus Harness skipped into the box from out on the right and curled a lovely left-foot shot just wide of the far post. Reilly's radar might have been off earlier but he made no mistake when opening the scoring after 36 minutes, bending a left-foot shot beyond goalkeeper Ben Williams from 20 yards out. 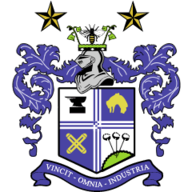 Bury responded well and their best spell came either side of half-time as former Burton loanee Zeli Ismail forced Jon McLaughlin into a smothering save. Danny Mayor then set up Pope to score with a tidy finish from just inside the box three minutes into the second half before Ismail fired a shot across goal which McLaughlin had to help on its way. Damien McCrory and Butcher had late chances to win it for Burton, who then needed McLaughlin to keep them in it as he denied Jacob Mellis when one-on-one. Beavon blasted Burton back in front with a shot from 20 yards on the stroke of half-time in extra time before Butcher's deflected cross wrong-footed Williams after 113 minutes to give the hosts a two-goal cushion, which Maher halved with a fine late free-kick.